GOFFSTOWN, New Hampshire -- Bernie Sanders defended his qualifications for the Democratic presidential nomination on Saturday, despite the fact that he's not a member of the Democratic party, and he outlined what being a so-called "Democratic socialist" means to him. But he also mocked the caricature of him as an out-of-the-mainstream Bolshevik. "Every article that you see refers to me as the longest serving independent in the history of the United States Congress, which is true," Sanders told a young audience Saint Anselm College in Goffstown. "Now I am the self-professed socialist. Things change when you run for president." 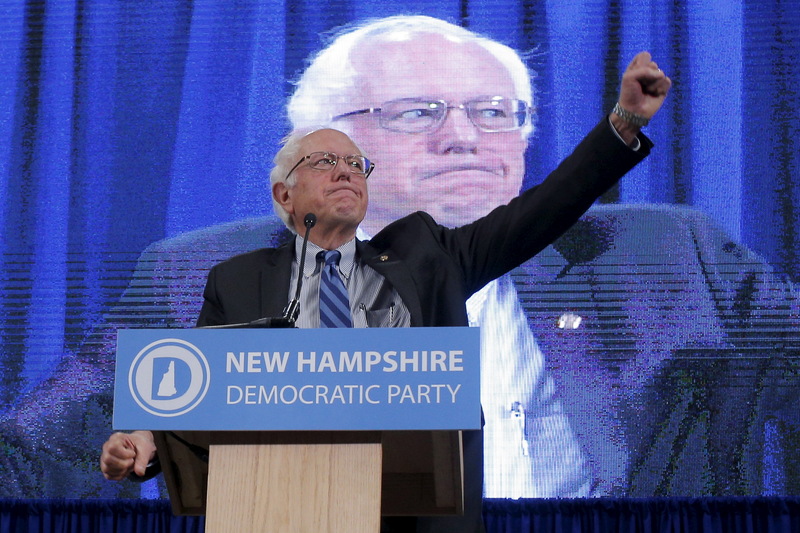 Who is presidential candidate Bernie Sanders? "Does anyone hear think I am a strong adherent of the North Korean form of government?" Sanders joked. "I want all of you to be wearing similar colored pajamas! That's my campaign - I don't like all these colors that we got here. Flannel pajamas for everyone. Same color!" The Vermont senator was responding to a student question about how he would deal with attacks from both Democrats and Republicans about his "professed socialism." Sanders described his ideology as more in line with the contemporary European definition of socialism. "What Democratic socialism means to me is having a government which represents all people, rather than just the wealthiest people, which is most often the case right now in this country," he said. " It is making sure that all of our people have healthcare as a right, education as a right, housing as a right, childcare as a right. That's what I believe. If they want to throw it at me, fine," Sanders said. Sanders asked the group if they had ever traveled to center-left countries like Denmark, Finland and Norway. "What you have there, over many, many years, is an effort to make sure that all people benefit from the wealth that's being created, so that you have a much more equitable distribution of wealth and income," Sanders said. Denmark, he said, boasts free healthcare, free childcare, free college education, higher wages and robust retirement programs. "Free! My god, there you go. Sounds like a very terrible form of government," Sanders joked. Sanders responded to another student who asked Sanders if a vote for him was a "vote wasted," under the mistaken assumption that was running as an independent candidate, not for the Democratic nomination. The Democratic frontrunner then walked the student through the nomination process. "If I win, I'm the candidate," he said. "If I lose, than the likelihood is - we'll see what happens - Secretary Clinton is the candidate. That's it. And then we go on and we defeat the Republican candidate."